Please feel free to contact us if you know of any trails to add or changes to make. Thank you. 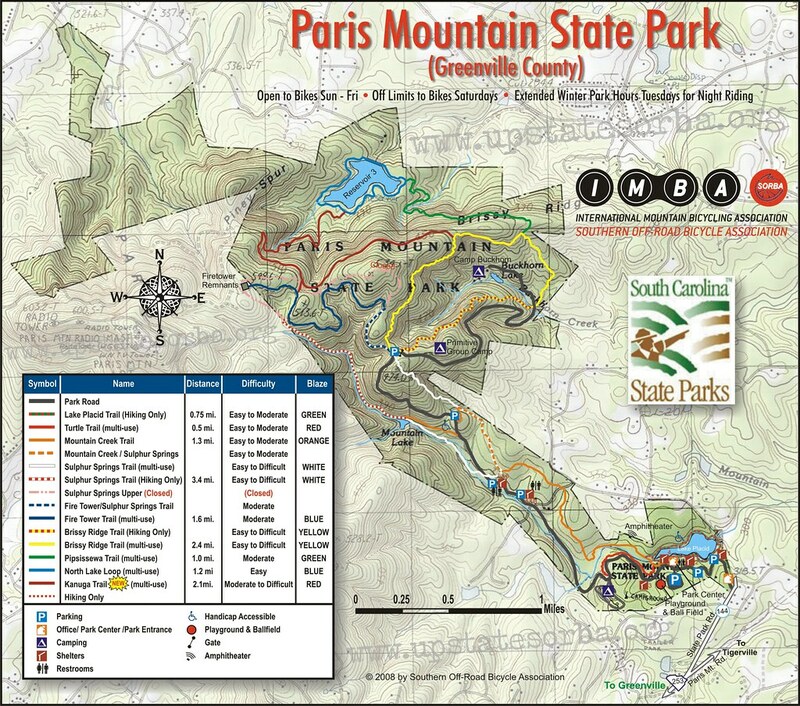 Pleasant Ridge County Park JFA TRAIL (Marietta, SC) 4-5 miles of hilly single track MAP Facebook Page. Bikers will travel counter clockwise on all odd months and clockwise on all even months. Hikers are opposite. Check the facebook page, this trail does close for weather. Gateway Park (Travelers Rest) Skills park. Certain elements are closed for wet conditions. Furman (Greenville) 4-5 miles of natural surface trails, and additional greenway style stuff. 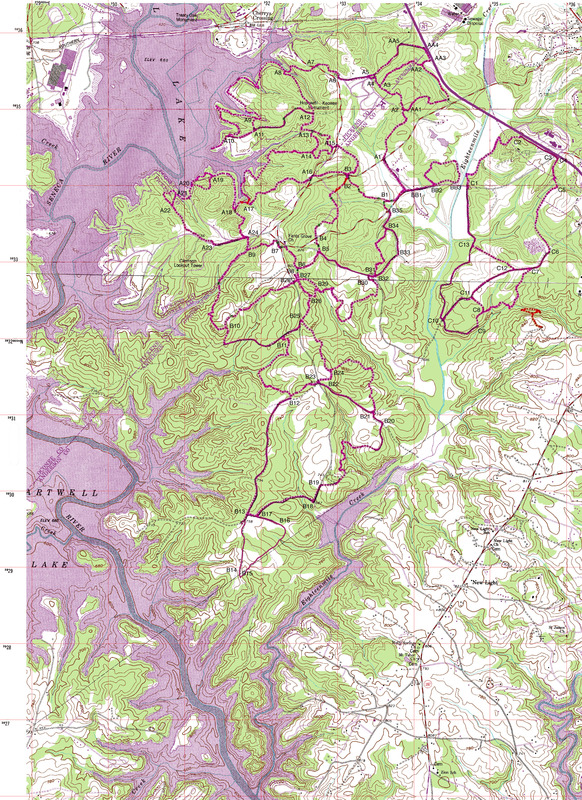 Paynes Creek Trail System (Hartwell, GA) About 9 miles of rolling, flowing trail. Directional by day, a couple places to shorten the trail by cutting off loops. Check facebook page (link above) for current trail status. 518 Ramp Road, Hartwell, GA.